Earlier today, I sent the letter below to friends who are members of Equine Canada, the national governing body for equestrian sport and the executive arm of Canada's Olympic and Paralympic equestrian teams. I stood down as Equine Canada's CEO in 2012, and so my letter expresses only my personal views. I hope this note finds you well, and enjoying the holiday season. I am writing to you as a fellow member of Equine Canada (EC), to ask you to consider voting for Tony La Giorgia in the federation’s current Board of Directors election. EC Sport Licence holders can vote at http://bit.ly/1fzpiwa. Other EC members, such as members of provincial and territorial associations, can register to vote at http://bit.ly/1hstSwB. EC is undeniably passing through a difficult period in its history. The choices that the federation’s Board will make over the coming months will decide what kind of organisation will emerge from this time of trial, and whether it will be one that exists to serve the many or the few. 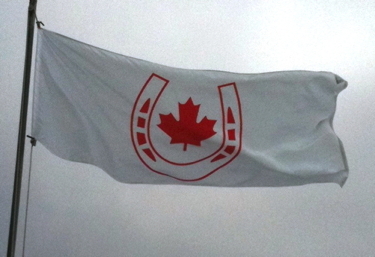 I have had a chance to observe Tony’s service to EC and to the broader Canadian equestrian community, over many years. I have decided to support him in this election because of three critical qualities that he has brought to the federation, qualities it needs today as never before: accountability; inclusion; and integrity. As an EC Director, Tony La Giorgia worked tirelessly to uphold the federation’s accountability to its members. He consistently showed the courage to confront entrenched interests, the strength to ask difficult questions, and the bloody-mindedness to insist that the Board take its decisions transparently. As a longstanding EC volunteer, Tony has always tried to throw open the federation’s doors, to be inclusive of the entire membership. Too many people believe that EC is the private property of an "old boy’s club"; Tony has fought for the ideal that Canada’s equestrian federation belongs to all Canadian equestrians. As a person and an EC member, Tony has demonstrated the highest standards of personal integrity, and an ability to lead by personal example. In a sport system that is often struggles with conflicts of interest, he has lived out the principle that leadership in EC is an opportunity to serve the public interest, rather than personal interests. You can visit Tony’s web page to read about his record and his proposals in his own words. If you wish to share this message with other EC members, you can forward the e-mail on to your friends, post a copy at Facebook by clicking here, or tweet a copy at Twitter by clicking here. Whomever you choose to support in the EC Board of Directors election, I hope that you will take the time to cast your vote. Ultimately, EC will only be our federation if we all exercise our responsibilities to choose its leaders, and to hold them to account. Please accept my warmest wishes for the holidays and the new year.